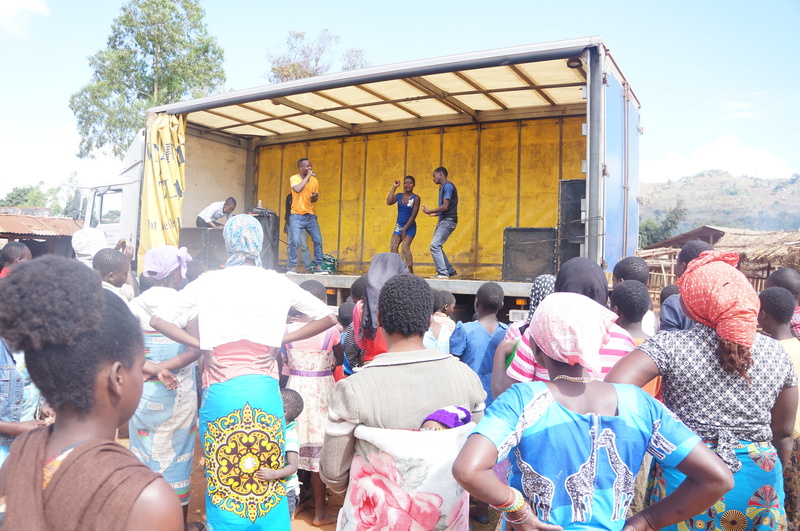 The roadshows, which featured YONECO FM DJs and upcoming local urban music artists and ambassadors, Blaze and Jammy Marcus, reached out to about six thousand people including 3400 males and 2400 females between the ages of 13 and 39. The following areas were targeted: Namadidi, Songani, Namwera turn-off and Chinamwali in Zomba as well as Chingale turn-off, Liwonde, Mangochi Turn-off, Ntanja and Nselema Trading centre in Machinga district. Some of the issues that were discussed during the interaction include: access to clean, affordable and sustainable energy as well as women being key in scaling up access to sustainable energy. Communities welcomed the idea of embracing renewable energy technologies and they are very eager to know how they can benefit from GIE saying this will help in conserving the environment and also ease the pressure that women have to search for firewood particularly now that trees are very scarce. Lunice Kamwaza, who was part of the audience at Chingale Turn off in Machinga district said he is excited to adopt advocated renewable energy systems especially wind and solar energy for cooking and lighting. “I was following this discussion with keen interest and I am eager to find someone with the technical expertise so that he can help me light up my home with solar or wind energy,” said Kamwaza. Enifa Mussa, a woman from Ntaja said the GIE initiative is hope for the better to women who are wasting much of their productive time fetching firewood for cooking their homes. “I am actually interested to get my own low energy cooking stove because the way am getting it, this would surely ease the pressure that I face as a woman,” she said.